"Someone has wishful thinking," Groysman says. Prime Minister Volodymyr Groysman ruled out possibility of personnel changes in his government in the near future. "I'm doing my job, I'm engaged in the real sector of the economy... As for the change of government, I think it's someone's wishful thinking," the prime minister stated during his working trip to Zhytomyr Region on 30 March. Previously, Groysman was evasive on possible personnel changes in the Cabinet saying "anything is possible." 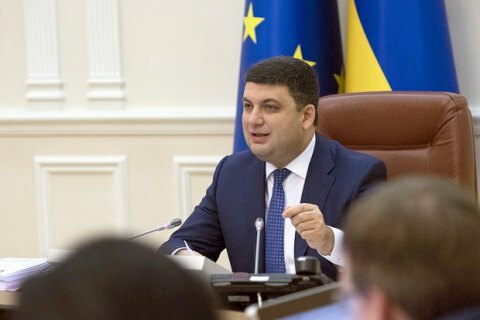 The Verkhovna Rada on 14 April, 2016 appointed Groysman as prime minister and approved the new composition of the Cabinet. Later, the deputies adopted the program of action of the new government for the third time. President Petro Poroshenko said that he put an end to the parliamentary-government crisis.